Clubs who exploit "back-door funding" should be expelled from European competition, says Borussia Dortmund chief executive Hans-Joachim Watzke. Uefa's new Financial Fair Play rules apply from the start of next season. 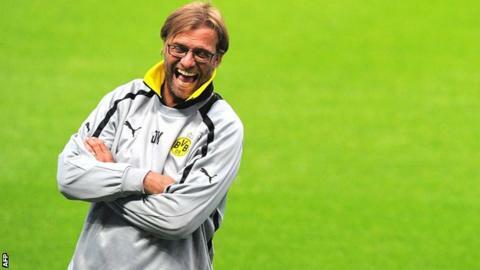 On Wednesday Dortmund face Manchester City, who have been transformed since 2008 by owner Sheikh Mansour's wealth. "Uefa must find the thin line between sponsorship and excessive back-door funding - they must show strength to expel big clubs," urged Watzke. Clubs hoping to take part in the Champions or Europa Leagues must balance their football-related expenditure over a three-year period. Mansour completed his takeover of City four years ago and has since pumped vast sums into the club. They won the Premier League title last season but reported an annual loss of £194.9m for 2010-11, the biggest in English football history. Uefa's rules state clubs wishing to take part in the Champions League or Europa League must balance their football-related expenditure over a three-year period up to the 2014-15 season. In March, Uefa general secretary Gianni Infantino told BBC Sport that it would ban clubs found breaking the rules. In July 2011, City announced a 10-year sponsorship deal reportedly worth £400m with Etihad Airways, which critics claimed was an attempt to circumvent Uefa's rules. The following month, Uefa said it would examine the deal. Watzke wants all sponsorship deals investigated to ensure all clubs are playing by the rules. "No tycoon should be allowed to pump crazy money into a club with sponsorship from five companies he controls," he added. "If that happens, financial fair play will fail."